BioClad® Antimicrobial wall cladding revolutionises hygienic spaces using BioCote® technology to kill microbes by 99.9%. BioClad’s standard PVC hygienic wall cladding assists architects and contractors in delivering antimicrobial cladding solutions without compromising on design aesthetics. BioClad’s standard PVC hygienic wall cladding assists architects and contractors in delivering antimicrobial cladding solutions without compromising on design aesthetics. Our antimicrobial cladding solutions inhibit bacteria growth 24/7 and have been tested to kill microbes by 99.9% in just two hours. The BioCote® technology that we use works to enhance the hygienic qualities of your real life environment. Carrying a lifetime guarantee, our products contain zero VOCs and are designed to add vibrancy to your hygienic space. They are also available in a number of colours and finishes, all of which are easy to clean, watertight and durable. For more information on the stylish cladding colours we provide, see the ‘Colours and Finishes’ tab. 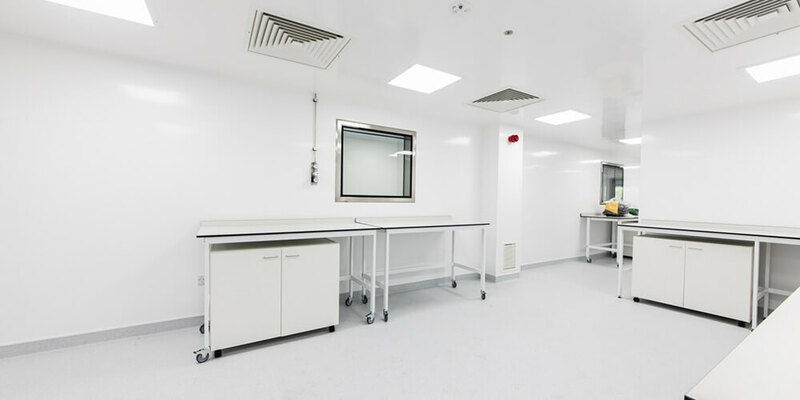 BioClad® Antimicrobial Rigid Sheet Panelling 2.5mm thick with a smooth satin finish as standard. Availability: BioClad® sheets are available in Satin White, Pastel and ViVid colour ranges. Chemical resistance: BioClad® is resistant to a wide range of chemicals found within the medical, healthcare and food production industries – Full chemical resistance data report available on request. Cleaning and Maintenance: Regular hot soapy water is sufficient for regular cleaning and a mild cleaning product such as Jif/Cif is suitable for stubborn marks. Mild solvents may also be used but NOT an abrasive cleaner. Steam cleaning is suitable under 60˚C.